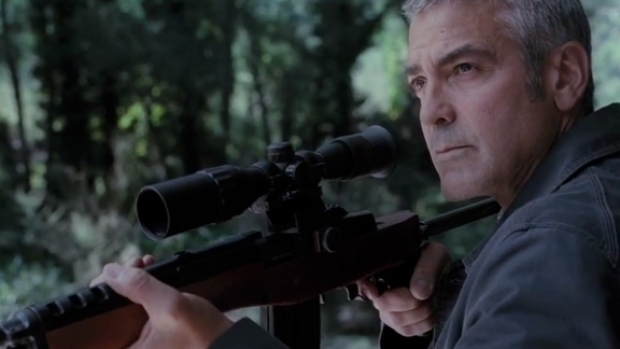 Update: Clooney in Talks to Be Soderbergh's "U.N.C.L.E." It would appear that Steven Soderbergh has burned through all of his "Ocean's 13" money, as the heroically eclectic director has signed on to direct a new film with big franchise potential. Soderbergh has signed on to direct "The Man From U.N.C.L.E.," based on the classic international spy show of the same name that starred Robert Vaughn and David McCallum, reported Heat Vision. He'll be working with a script by Scott Z. Burns, who co-wrote "The Bourne Ultimatum," as well as Soderbergh's next two features. The show was co-created by Ian Fleming of James Bond fame and featured Vaughn and McCallum as Naploleo Solo as Ilya Kuryakin, a pair of super spies working for U.N.C.L.E. (United Network Command for Law and Enforcement) to thwart the evildoings of T.H.R.U.S.H. (Technological Hierarchy for the Removal of Undesirables and the Subjugation of Humanity). An assassin looking to retire agrees to take one last job, but falls under the spell of a beautiful woman - isn't that always the way? Directed by Anton Corbijn, who helmed the Ian Curtis biopic Control. Throughout his career, Soderbergh has masterfully balanced following his artistic whims with paying his bills, but doing so without compromising himself. As he's became steadily more established, the time between commercial ventures had grown. So now, three years since "Oceans' 13," with four features released, a documentary in the can, two films in post-production and another film shooting, he's ready to make some more money. We're all for it. Soderbergh's next film will be "Haywire," starring MMA fighter Gina Carano as a black-ops specialist out for revenge after she's been betrayed by her superiors. The film also stars Channing Tatum, Michael Fassbender, Michael Douglas, Ewan McGregor and Antonio Banderas. It should be out in early 2011. "Haywire" will be followed by "Contagion," starring Gwyneth Paltrow, Matt Damon, Marion Cotillard, Kate Winslet, Jude Law and Laurence Fishburne, in the story of a viral outbreak that threatens the future of mankind. It's due Oct. 21, 2011.